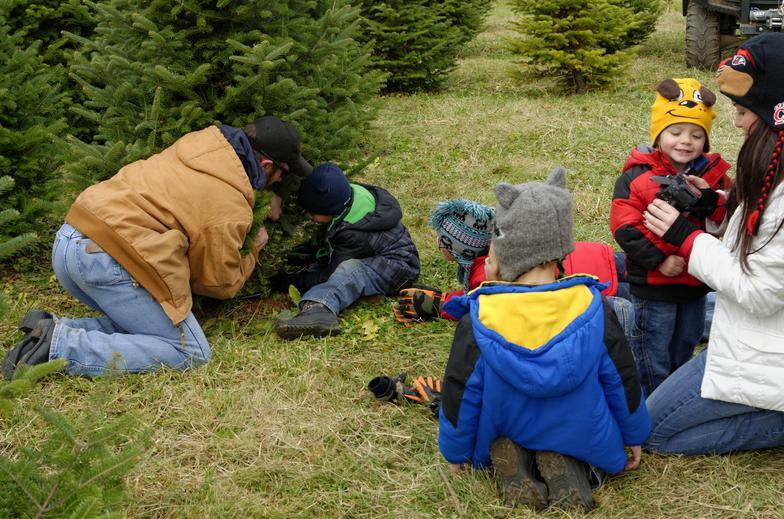 We have been growing Christmas trees for over 75 years and currently grow over 60,000 trees on our 125 acre farm. 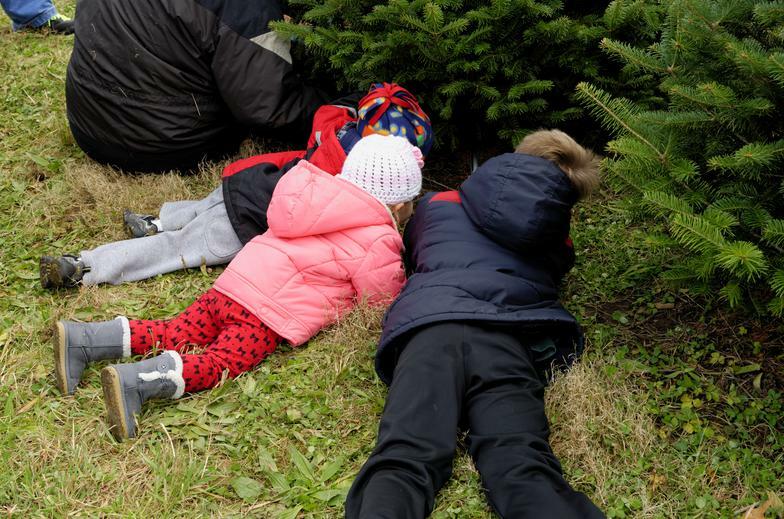 You can choose to roam the fields looking for that perfect tree, find a pre-cut tree by the Christmas barn, or pick from a large selection of balled and burlapped trees to plant after Christmas. 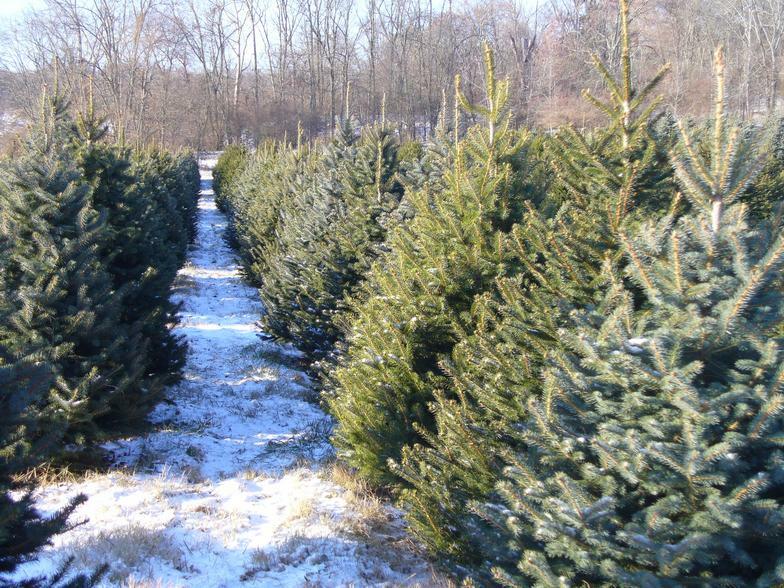 We have six varieties to choose from: Blue Spruce, Norway Spruce, White Pine, Scotch Pine, Canaan Fir and White Fir. 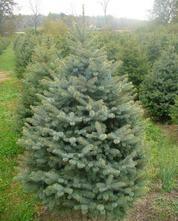 We still have a great variety of other types of trees available in all sizes. 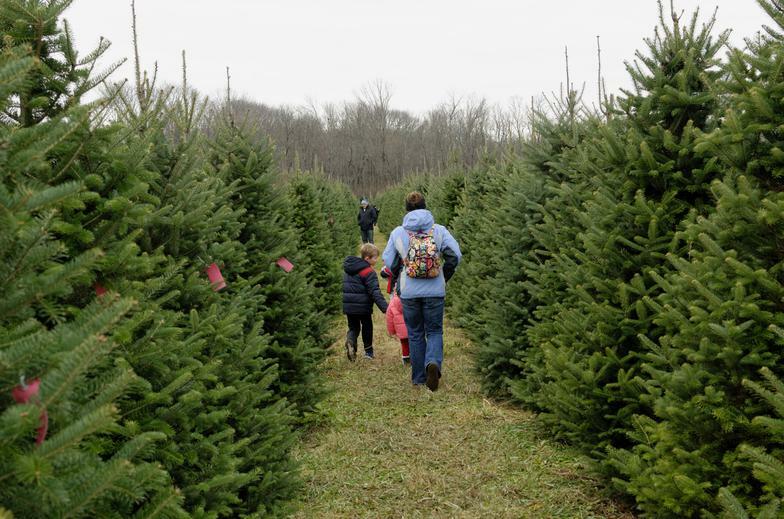 We also have a large selection of trees up to 20 feet tall! 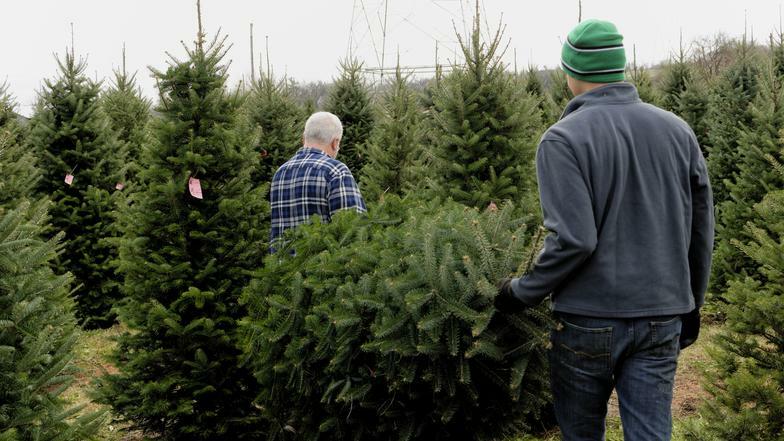 All trees are individually priced according to variety, size and quality. All trees are grown on our farm! 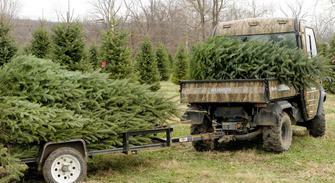 After finding the perfect tree, we can assist you in cutting, hauling, shaking and tying your tree on your car. In addition, we sell stands which we will put on for you. Just take your tree home and stand it up! 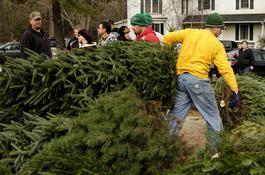 Then bring the stand back every year to be put on your new tree at no additional charge. Come into our Christmas barn for complimentary hot chocolate and cookies! Inside we sell wreaths, swags, pine roping and arrangements made fresh daily on our farm. There are also many ornaments and gifts available for purchase. You can also enjoy viewing our antique John Deere tractors, Model “A” cars and American flag display. The fields close at dark, but there are lights over our pre-cut, balled and burlapped trees for evening shoppers. 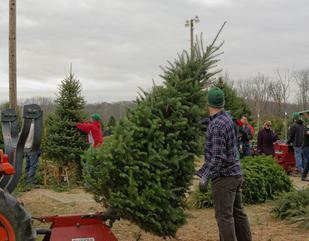 Every tree is individually priced according to type, size, shape, color and fullness. 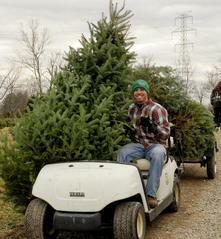 The Canaan Fir is our most fragrant and popular tree. It has a rich color that ranges from a deep green to a dark-blue green. With soft and short needles, it’s a beautiful tree that’s easy to decorate. 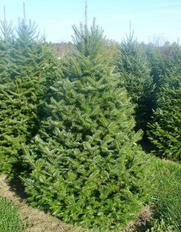 Norway Spruce are known for their dark green color and short needles. This typically wide and full tree has firm branches and a fragrant scent. White Pine are known for their long soft green to bluish-green needles and fluffy appearance. 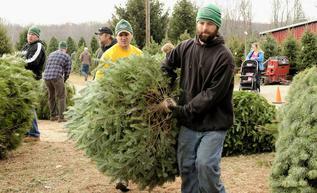 These trees are light weight and easy to handle, but do not hold heavy ornaments well. 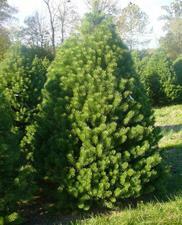 Scotch Pine have long needles that range from a bright to dark green color. This tree has firm branches and excellent needle retention making it well suited for heavy ornaments.